We manufacture the best quality Micro Sprinkler in the international market. Our Compact Micro Sprinkler is developed to provide large droplets that can be projected at a flat trajectory for efficient under foliage watering. They are available in eight flow rate from 80 to 485 LPH. 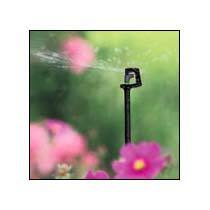 Besides, we are one of the credible Four Way Fogger Micro Sprinkler Exporters from India. AJAY INDUSTRIAL CORPORATION LIMITED reserves the right to redesign the product and change the specifications without any notice and without incurring any liability. Performance data is obtained under ideal test conditions and may be adversely affected by wind, hydraulic conditions or other factors.